The onset of spring means a spectacular new opportunity for the agency and our uniquely talented creative team. Rivers has been chosen by Carolina Performing Arts (CPA) to create the website for its amazing “The Rite of Spring at 100” event, a world-class 2012-2013 artistic first. 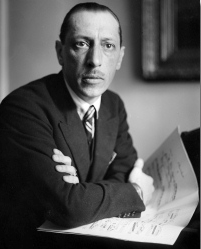 CPA’s Rite of Spring sensation will celebrate the 100th anniversary of Igor Stravinsky’s groundbreaking ballet score of the same name. The competition for this fantastic project was fierce, and our web experts’ fanatic focus on style and detail worked in our favor. Rivers can do it all in-house, and that ensures high quality of message, display and functionality. Our ambitious designers love to dream it up, lay the framework, tease it out and make it sing. We’re proud, thrilled and ready to deliver Carolina Performing Arts a polished performance. We appreciate the chance to be a part of something so special. “The Rite of Spring at 100” is big, a multi-faceted re-imagination of a profoundly influential piece. The effort has already enlisted international music, dance and choreography stars who will bring energy, excitement and attention to UNC-Chapel Hill, as well the productions held off-campus. Many have said the Russian composer and chorographer Vaslav Nijinsky shattered boundaries in a way that tapped into the soul of a revolution that soon would follow in Russia, and transformed classical music forever. The Andrew W. Mellon Foundation selected CPA to receive the $750,000 grant to bring the Rite of Spring centennial celebration to life. It is a vote of confidence Carolina Performing Arts has earned. 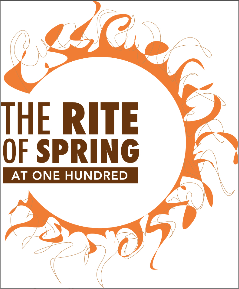 The artists and collaborators involved in CPA’s “The Rite of Spring at 100” include: Yo-Yo Ma and the Silk Road Ensemble; The Marinksy Orchestra with Valery Gergiev conducting; the Bill T. Jones/Arnie Zane Dance Company; the SITI Company ; pianist Yefim Bronfman; and Magdalena Kožená. Events will also include academic conferences, a book on those proceedings edited by two UNC-CH music professors, and significant student engagement. Carolina Performing Arts and the Rivers Agency – two great Chapel Hill organizations! I can’t wait to see what creative masterpiece you come up with, but I know you’ll do a great job. Awesome. CPA gives students a great opportunity to experience amazing performances at Memorial Hall – for a great deal at student ticket price. Wow! This is such a perfect match — Rivers Agency and Carolina Preforming Arts. The agency has the creative talent and heartbeat to give this celebration just the right look and tone. What a wonderful artistic opportunity with far-reaching educational and economic benefits for our area! That’s such a fascinating era in the arts. Very excited to see as many of these performances as possible.